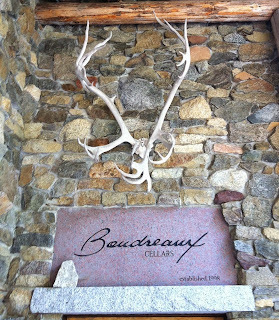 Rob Newsom of Boudreaux Cellars is an adventurer, story teller, wine maker and nice guy. You could put the phrase “hell of a…” in front of each one of those labels and still be telling the truth. Recently, I had the pleasure of spending some time with Rob exploring his winery and listening to stories of adventure, old buddies, and (of course) wine making. Rob moved from Louisiana to the Pacific Northwest in the mid 1970s. He hasn’t lost his Louisiana drawl or down South hospitality in the intervening years. Both welcome you into his world and make you feel like a long time friend from the first time you meet. Whether he is regaling you with stories of mountain climbing, building his winery or making wine you will hang on every word. Rob ultimately moved to his spot on Icicle Creek in the early eighties after discovering the location on a climbing adventure. First, he built his cabin and then twenty years later built his winery on the same location. He personally cut the timbers for his cabin and built it himself by hand. He also hand built the bridge that crosses Icicle Creek (twice!). Rob says that cutting the timbers for his cabin and building that bridge were two of the most dangerous things he has ever done in his life. When you consider the fact that he has climbed mountains in the Himalayas, Denali in Alaska and our own Mt. Rainier (multiple times) you can begin to envision what cutting those trees and building that bridge must have been like! 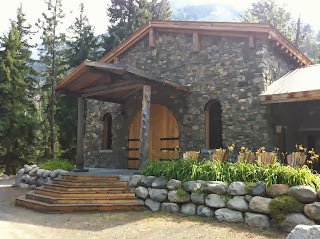 The Boudreaux Winery is rustic and striking, rising up among ancient trees along Icicle Creek. Rob and his assistant wine maker, Tyler Vickrey, handpicked and carried all the river rock that adorns the exterior walls of the Boudreaux winery. They just placed the last rock this year and Rob likes to say they are stonemasons that make wine on the side. It was during the 90’s that Rob was introduced to Washington wines through Leonetti and the Figgins family. Between outdoor adventures and wine Rob built a lasting friendship with the Figgins family. He immediately became known as “Boudreaux” (a famous Southern character known for adventure and story telling). As the story goes, Rob was complaining about the cost of wine to Gary Figgins. So Figgins threw down the challenge “Why don’t you do it yourself.” Naturally, that was all the encouragement a guy like Rob Newsom would need. His retort “I think I will!” The name for the winery was a natural fit with Gary Figgins’ son Chris naming Rob’s first wine the “cru Boudreaux.” And that is how you start a winery that has become one of the most unique wineries in the state of Washington. When we walked into the winery Rob got things started by pouring us a glass of the “Big Nasty”, an unfiltered chardonnay that hit the spot considering the mercury in the thermometer was already pushing 100 degrees. 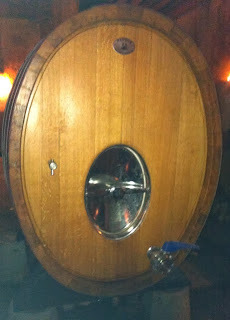 Next, we took a stroll down into the barrel room where it was considerably more comfortable. 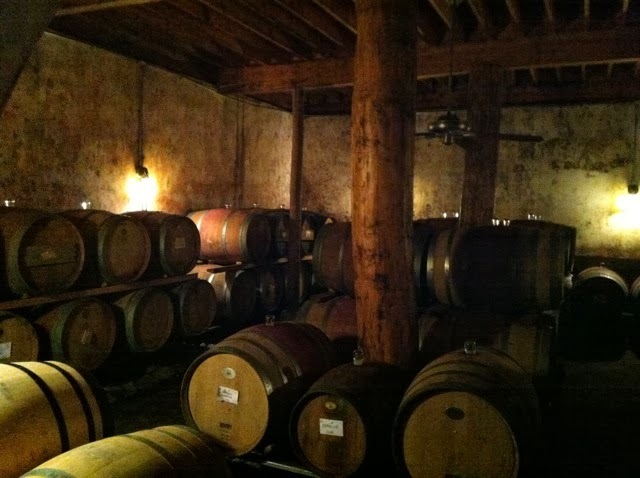 The barrel room is completely underground with ambient temperature control varying from 49 to 59 degrees. With the cooler temperatures in his barrel room, Rob likes to age his wine in barrel for an extra year. 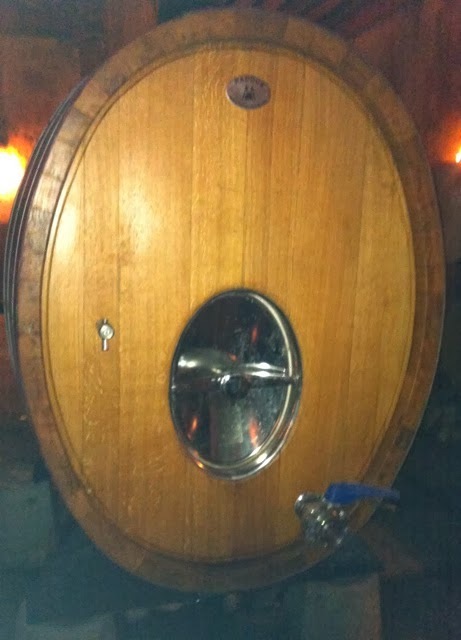 You will see that most of his wines spend up to 36 months chilling in barrel. Rob intertwines his love of adventure with his winemaking. While we were hanging out in the barrel room we tasted a “Frangio” – a blend of Cabernet Franc and Sangiovese. The result of getting some Cab Franc from Den Hoed and then wondering “What the heck do I do with this?” Frangio was the result, a co-ferment of Cab Franc and Sangiovese that melds the herbal spiciness of the Cab Franc and tart cherries and earth tones of the Sangiovese into a splendid slightly spicy medium bodied wine. Rob sells most of the Frangio to his friend J-Bo in Lousianna. After we tasted the J-Bo Rob told us about a little Cab, Syrah, Sangiovese, Petite Verdot he had just whipped up. And the adventure continues. Back up to the tasting room and Rob opened a 2007 Cabernet and 2008 Cabernet Reserve for us. The stories were already blowing my mind and now these two cabs finished the job. Boom! Rob’s first reserve cab was 100% Champoux fruit. Today it is a blend of Loes Leonetti estate vineyard fruit and Champoux. The Boudreaux Reserve Cabernet is a one of a kind combination of Walla Walla and Horse Heaven Hills AVA grapes from two of the highest quality vineyards in Washington. The 2007 Cabernet Sauvignon showed dusty dark cherry, clove and menthol spice with a dry cedar spice and slight cocoa finish. The 2008 Cabernet Sauvignon reserve features bold rich dark fruit with some slightly herbal overtones and a big spicy tannin fueled chocolate finish. Both of these wines are big, bold , rich and sassy. You can enjoy them now or lay them down in your cellar for the future. 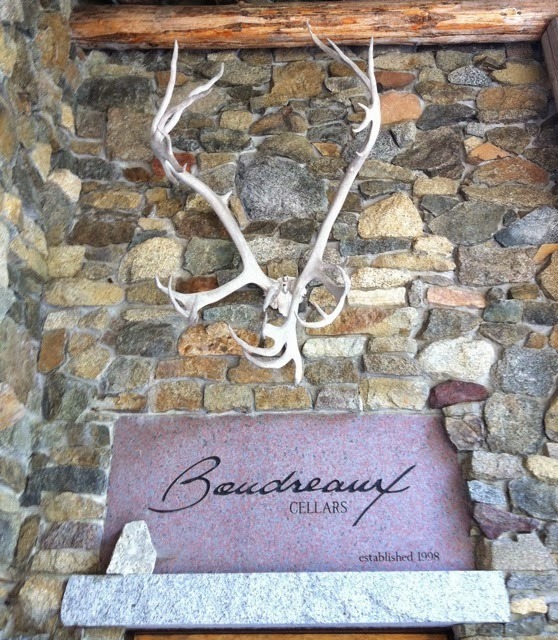 You can taste the Boudreaux wines at their tasting room in Leavenworth, the Wine Library in Woodinville and by appointment at the winery just off Icicle Creek outside of Leavenworth. Rob’s wines are dynamite captured in a bottle. Get on out and taste them for yourself. If you are fortunate enough to book a visit to the winery you will get the double pleasure of tasting the Boudreaux wines and listening to Rob’s stories of life and adventure.